Years of animal research and numerous human trials have shown the multiple benefits to be had from periodically reducing your calorie intake. These include not only weight loss but improvements in mood and memory. So I went on what I called the 5:2 diet (eat normally five days a week, cut calories to around 600 on the other two days) and found it surprisingly manageable. I lost 20 pounds in twelve weeks, and my blood sugar levels and cholesterol levels returned to normal. After making the documentary I wrote a book, with Mimi Spencer, called The FastDiet, which included not only the science behind intermittent fasting but also a practical guide on how to do it. Our book was not aimed at diabetics, however, and I wondered at the time if what had happened to me was unusual. So I decided to look more closely into the science linking calories, carbohydrates, obesity, insulin, and diabetes. 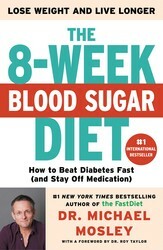 That quest has resulted in my new book, The 8-Week Blood Sugar Diet. A recent study published in the British Medical Journal found that in the United States, according to the Centers for Disease Control (CDC), there are at least 29 million people with diabetes, and many don’t know they have it. The number of people with prediabetes is even greater. The CDC estimates that it affects 86 million Americans, with fewer than one in ten being aware they are at risk. People of Asian descent are particularly vulnerable; researchers recently estimated that more than 100 million people in that country now have diabetes, while 500 million have prediabetes. Again, most are blissfully unaware. So, do you want to lose weight, improve your health, and get your blood sugar under control? Do you want to achieve this while eating tasty, wholesome food? Well, you’re in the right place. In this post, we are going to talk about the practicalities of the diet itself. 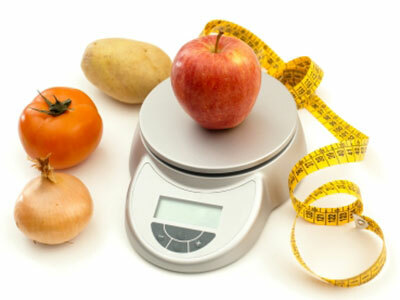 It is a bold and radical diet, one that involves eating 800 calories a day for up to eight weeks. It will help you get rid of your visceral (abdominal) fat fast. Once your visceral fat levels start to drop (and this happens within days), then the fat clogging up your liver will also begin to melt away like snow under a hot sun. Within weeks both prediabetics and type 2 diabetics should see their blood sugar levels falling back toward normal. This will set you on course for a leaner, healthier future. But this is not just a one-off weight loss program, something you do for a few weeks and then are done with forever. It is part of a lifestyle system built on three core principles that are intended to support you not only while you are on the diet but also, crucially, when you have finished and are moving on to the next stage in your life. Understanding and applying these principles is important for long-term success. So here they are, the three core principles of the Blood Sugar Diet: going Mediterranean, getting active, and sorting out your head. I am going to introduce you to a Mediterranean-style low-carb eating plan. This is a tasty and healthy way of living. It is low in starchy, easily digestible carbs, but packed full of disease-fighting vitamins and flavonoids. It is rich in olive oil, fish, nuts, fruit, and vegetables, but also contains lots of delicious foods that over the years we have been told not to eat, such as full-fat yogurt and eggs. In huge, randomized studies researchers have found not only that people get multiple health benefits from a Mediterranean style of eating but also that it’s easy and enjoyable to stick to (unlike a low-fat diet). Although it is derived from the eating habits of people living in Mediterranean countries, you can apply the principles of Mediterranean-style eating to a wide range of different cuisines, from Chinese and Indian to Mexican and Scandinavian. We all know how important being more active is, yet few of us find the time or inclination to go on regular runs or visit the gym. If you are thinking, “You must be joking—I can’t possibly become more active while cutting my calories,” then be reassured that the activity program I outline in The 8-Week Sugar Diet and in a post this Friday, March 18, is not going to leave you tired or hungry. It should improve your mood and make the diet easier. Being more active is also the best way to reverse insulin resistance, which lies at the heart of most blood sugar problems. In brief, you will start by standing up more (later on I will go into the science of why simply getting up every thirty minutes for one minute or so makes such a big difference). Everyone can do this. You will need to increase the amount that you walk. In “Before You Start” (which I’ll tell you more about in my next post), I will give you a simple way to assess your current level of fitness. You will also need to embark on a set of strength-building resistance exercises, which you will start on Day 1 of the diet and build over the eight weeks. No special equipment is required. Finally, you will be introduced to one of the biggest breakthroughs in sports science in the last decade. It is a cardio program that in a few weeks can significantly improve your aerobic fitness, the strength of your heart and lungs. The program outlined in my book The 8-Week Blood Sugar Diet has been specifically designed for diabetics and those who are currently not very fit, and you will be pleased to hear that it does not involve hours of jogging. In fact, it requires only a few minutes a week. It is optional, but it is very effective, and it is something I now do on a regular basis. The last of the three core principles is about getting your head in the right place—learning how to de-stress and reduce impulsive eating. We all know how easy it is when things go wrong to reach for the cookies or cake. Well, this is the stress hormone, cortisol, in action. As well as driving “comfort eating,” cortisol makes your body more insulin-resistant, which makes you hungry. All good reasons to get your stress levels down. While making a science documentary about the brain not long ago, The Truth About Personality, I investigated different ways to reduce stress and build resilience, and the one that I found most effective was mindfulness. It’s a modern take on meditation, something that has been practiced by all the great religions. In recent years mindfulness has become incredibly fashionable among celebrities, business leaders, and athletes. The reason is that it works. A few short sessions of mindfulness done each week should be enough to reduce stress and anxiety.27 I was skeptical before I began doing it three years ago, but I have now made it part of my life. So these are the three core principles that will support you through the Blood Sugar Diet and which I hope you’ll maintain when you finish it. Because it is so important to what comes next, I am going to spell out how to Mediterraneanize your eating habits before moving on to the details of the Blood Sugar Diet as a whole. In the long run your metabolic rate will slow down no matter how quickly or slowly you lose weight, simply because you are now no longer carrying the equivalent of a large, heavy suitcase full of fat wherever you go. That is why it is important to keep your metabolic rate up by doing strength exercises (which I’ll talk about in my next post) and keeping active as your weight drops. 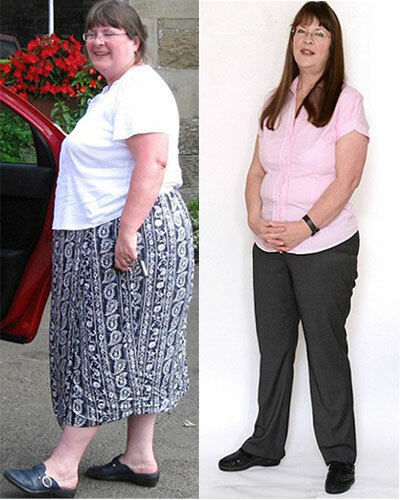 Elizabeth 54, says, “Over the years I must have lost and then regained the weight of an entire rugby team. But I always reverted to old habits: pies, cakes and pastries, and a chocolate bar every day. Then six years ago I was diagnosed with Type 2 diabetes. My parents had it and it really affected their quality of life—they always felt tired and the diabetes was listed a contributing factor on Mum’s death certificate. I tried to lose weight but the diet my doctor recommended was hard to stick to and I gave up within a month. My sugar levels got so high he had to increase my diabetes medication. Then I heard about the 800-calorie diet for people with diabetes. I jumped at the chance. Since I’ve been on the diet I’ve gone from a size 22 to a 12, and my waist has shrunk 9 inches. I used to feel tired all the time, but now walk with a real spring in my step. But the change I’m most thrilled about is my blood sugar: I’ve come off all medication. I just wish I’d had the chance to lose weight in this way six years ago.